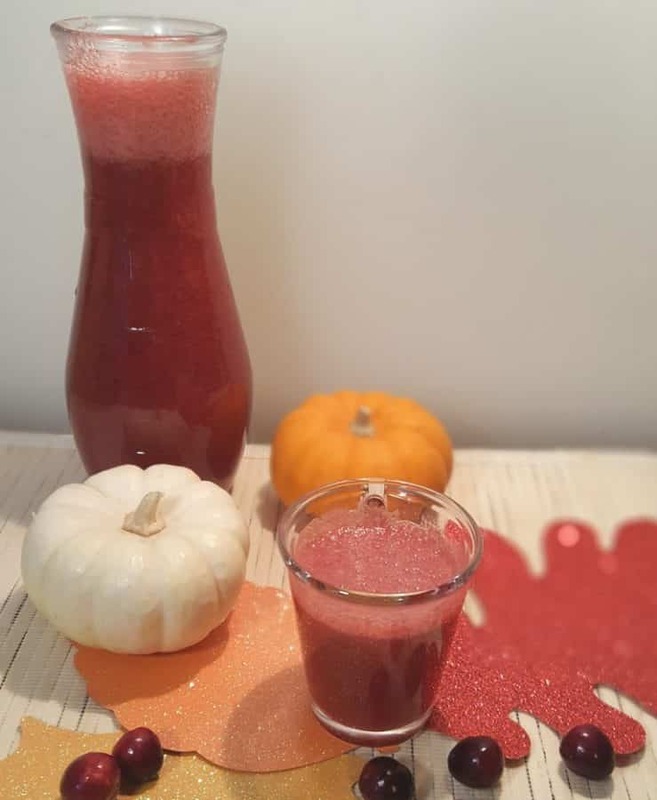 This Holiday Raspberry Cranberry Spritzer has bits of fresh raspberries and cranberries, with just a touch of sweetness and a hint of tart lemon. This can be made in a Pressure Cooker or on the stove. 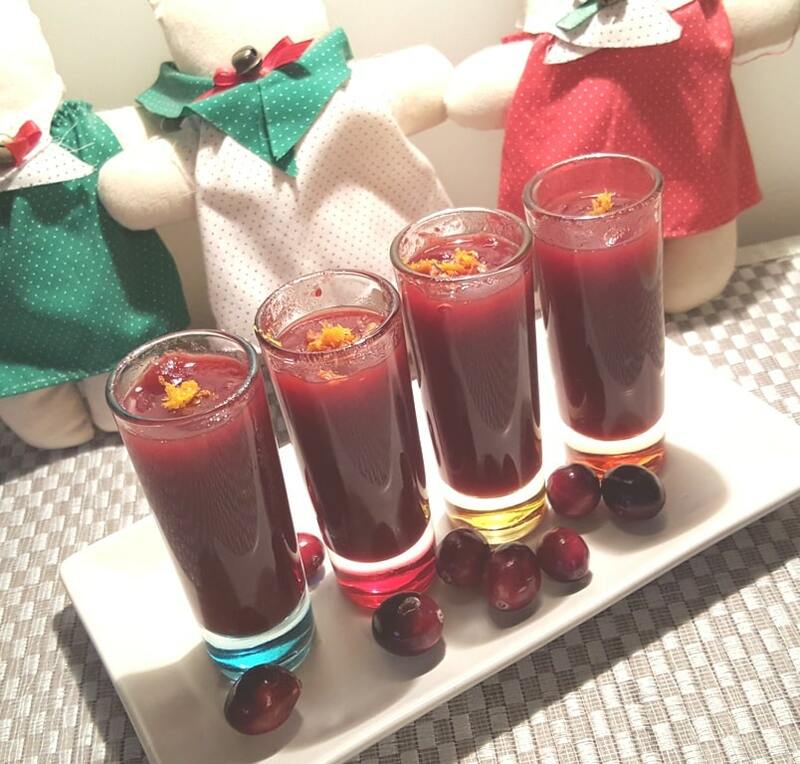 Fun drinks help pull together Holiday feasts. 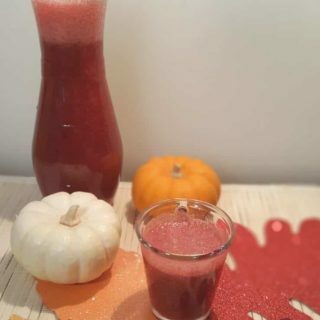 This is a drink that kids can enjoy as well, as the adults. 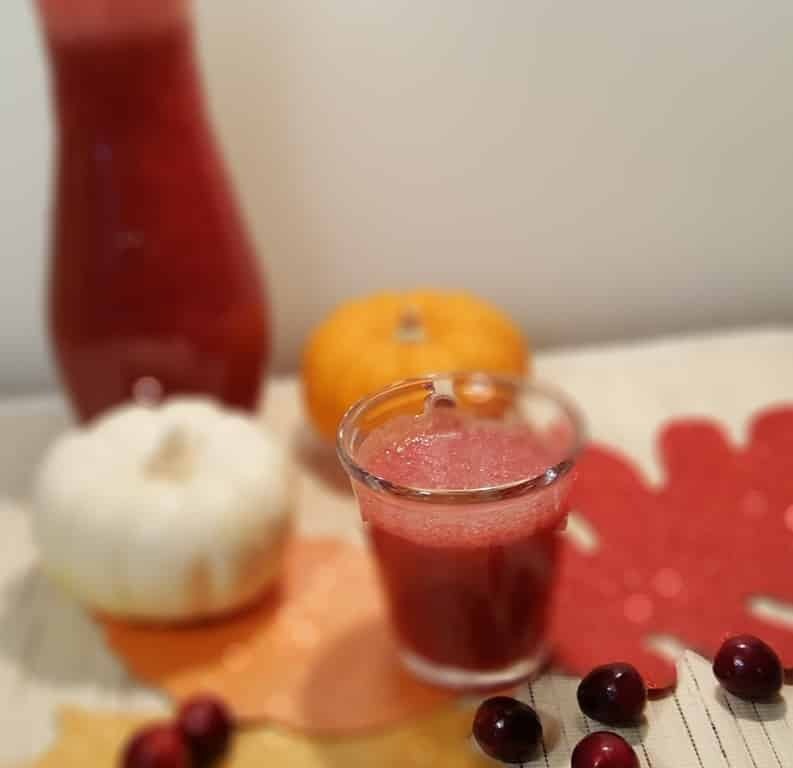 This Pressure Cooker Holiday Raspberry Cranberry Spritzer can be enjoyed just as it is, or it can be used as a base for an alcoholic beverage. Consider adding a shot of vodka to your glass. 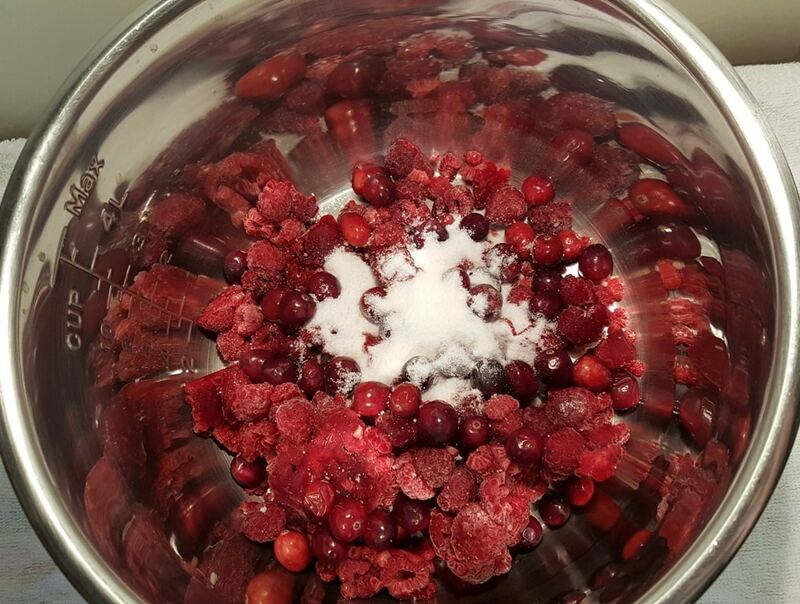 You can even add just the puree to a glass of white wine and make your own Holiday Raspberry Cranberry Wine Cooler! If you do not have fresh lemons available, a bit of True Lemon works equally as well. You can even use a lime or Meyer Lemon. For the Pressure Cooker method, add all ingredients to the Pressure Cooker and you are good to go. For the Stove Top method, add all ingredients to a sauce pan and slowly cook down the fruit, until tender. 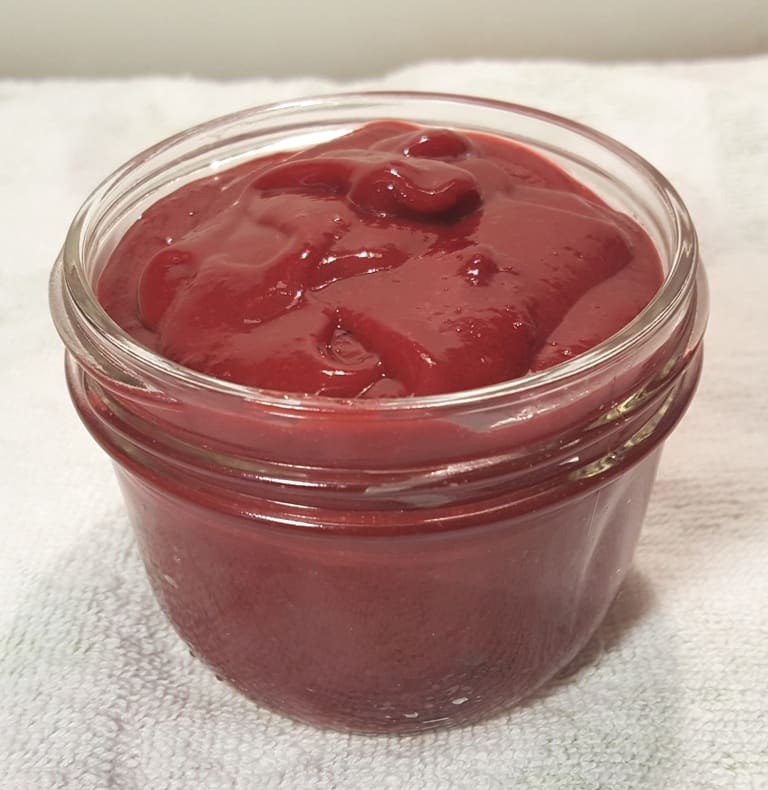 Either push Puree through a Mesh Stainless Steel Strainer or process using a VitaMix. 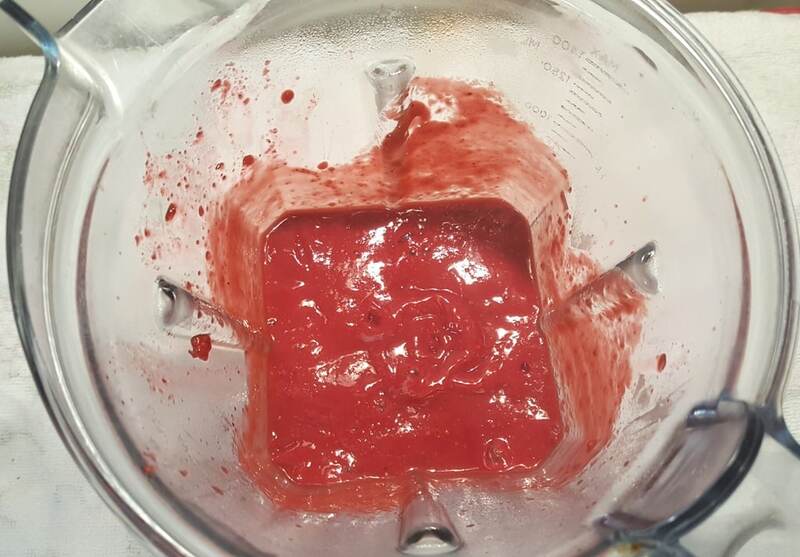 If you don’t mind bits of seeds from the Raspberry, you can certainly just blend it all up in your VitaMix. 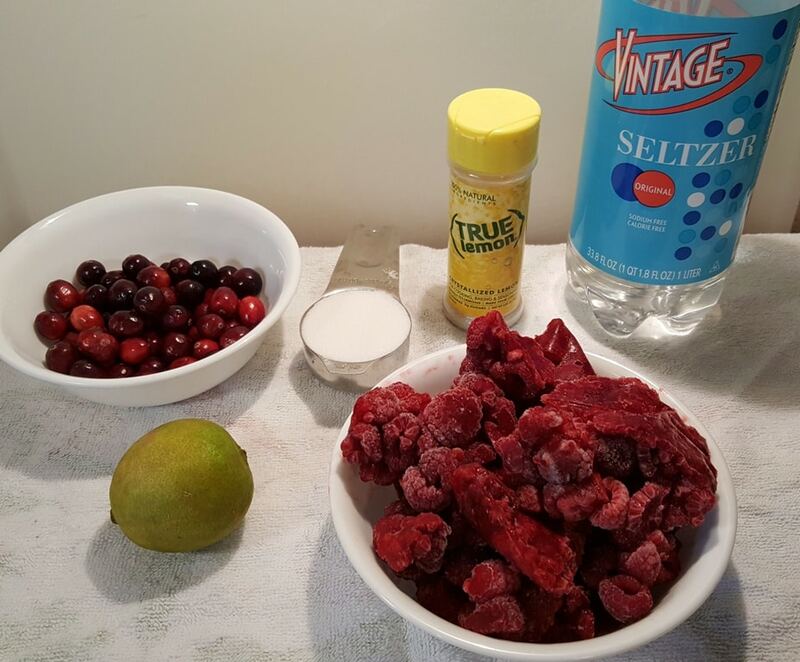 This recipe will make four 1 liter Carafe’s of this Holiday Raspberry Cranberry Spritzer. 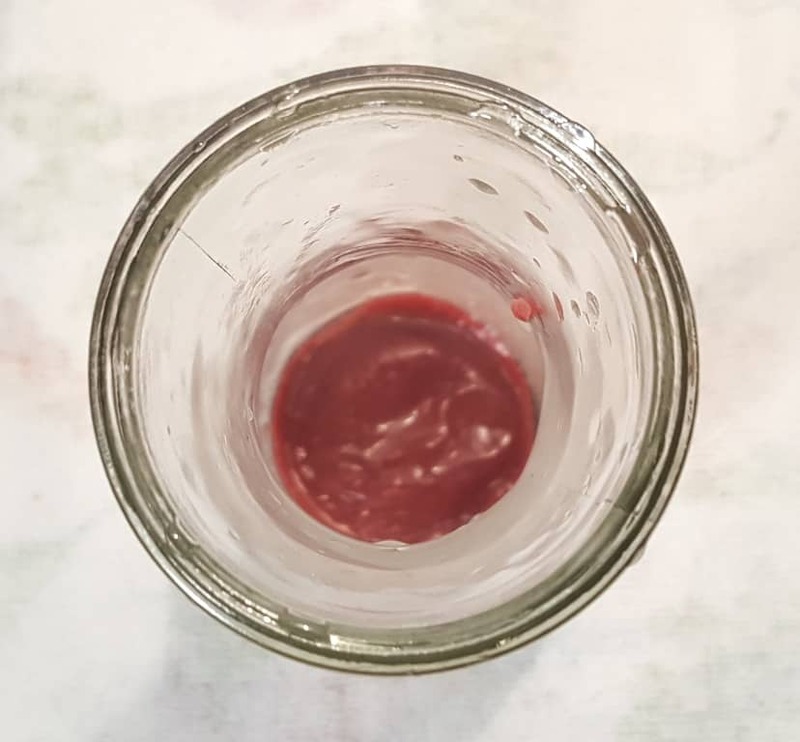 Add some of the Puree into your Carafe and fill with water. Pour it over a glass of ice. If you are traveling to your Holiday gathering, a good way to store the Raspberry Cranberry Spritzer is in Mason Jars. Keep a stash of the Puree on the side. Add a dollop to a shot glass and fill with Vodka! For more Holiday ideas, please check out My Holiday Recipes. Place all ingredients in your Pressure Cooker cooking pot. Lock on Lid and close Pressure Valve. Cook at High Pressure for 4 minutes. When Beep sounds, allow a 15 minute Natural Pressure Release. 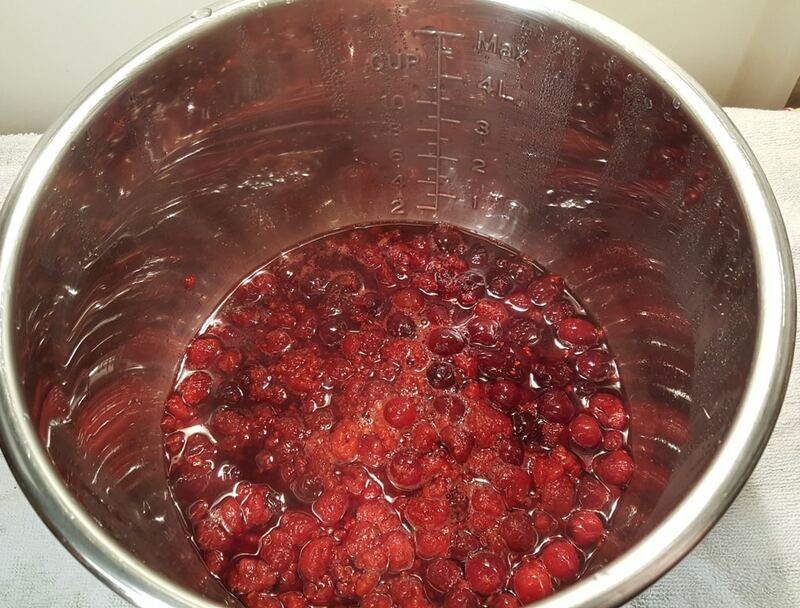 Allow to cool and then push liquid through a strainer to remove pulp/seeds, if desired. 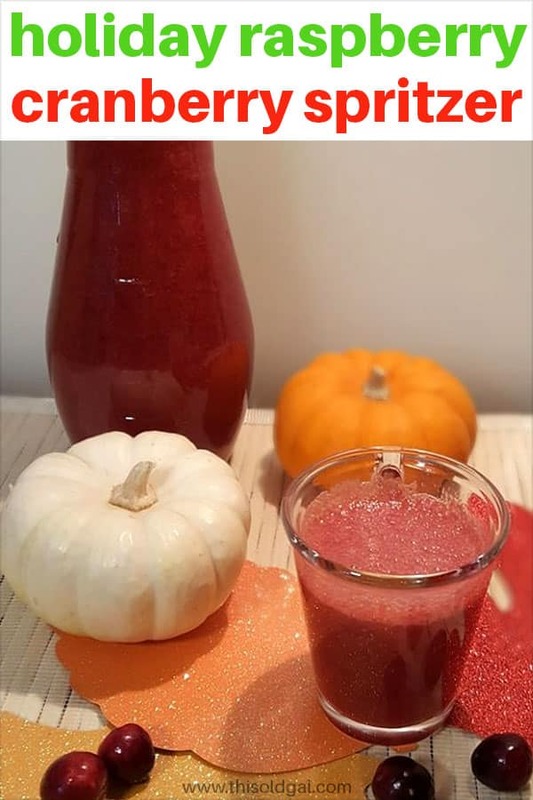 You can also blend it up in a Vitamix, if you like. Divide into four 1 Liter Carafes and fill with Club Soda. Is enjoyed as is or can be used as a base for an alcoholic cocktail. PIN this Holiday Raspberry Cranberry Spritzer!